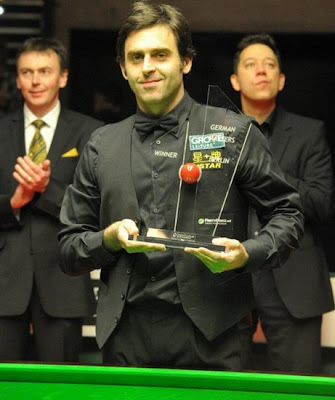 German Masters 2012: Ronnie O'sullivan overcame Maguire by 9-7 from 3-6 down to triumph in Tempodrom, his first full ranking title in 29 months. The first four frames we have seen were simply brilliant. Ronnie won the opener with 111 before in-form Maguire made hat-trick, three centuries in a row 130, 106 and 128 to go 3-1 ahead at the interval. 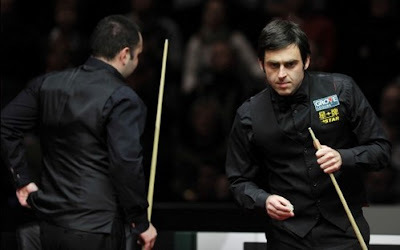 Ronnie was likely to make the fifth consecutive century of the match but he missed a red to middle pocket on 58 then Maguire found his way to clear up to lead 4-1. 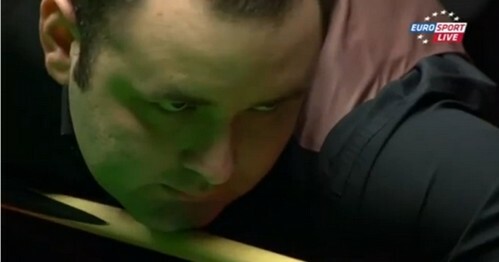 The next two frames were shared that Maguire was guaranteed a lead after the session. 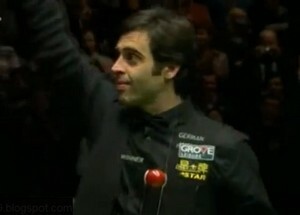 However, he could not extend his lead to 6-2 as he made 24 only before letting Ronnie in with a superb long red. He reduced the gap to 3-5 with 75 to end the first session. Maguire might be gutted for not maximizing his lead after the first session although he took the opening frame of the night session with 69 and 46. The blastoff of the Rocket was too fast for him to react. The scoreline quickly changed from 6-3 to 6-6 at the interval as runs of 89, 54 helped Ronnie to level, not to forget Maguire was first among the balls in frame 10 but running out of position on 40. Everything started all over again after the interval that Ronnie was in the leading position for the second time in the match by taking the first two frames with 67. He led by 8-6 and just needed one more to win the title. The match was likely to end in the following frame but Ronnie missed on 43 which Maguire made a clearance of 82 to trail 7-8. Once again Ronnie was first in with 46 and has passed the winning line. Unfortunately the cueball went off when he was escaping a snooker which meant Maguire had enough points on the table to win. However, he could not take the chance and missed the attempt of difficult blue to allow Ronnie win. The Rocket won by 9-7 to clinch his first full ranking title since Shanghai Masters in September 2009. He was on the edge to lose when he was 0-4 down to Andrew Higginson in the first round, having won the match by 5-4. "I was 4-0 down in the first round but won that and ended up getting a victory. I'm still not sure of my top 16 place but for now I can enjoy this one. I'm pleased to be competing again, giving it my best and able to have moments like this. It's a great moment, regardless of whether I will be in Sheffield. Maguire expressed his disappointment of losing the final, "I played well all week, which was unexpected, and it's nice to be competing again. I feel as if someone will have to play well to beat me, or I will have to throw it away. I've beaten John Higgins 5-0 and Shaun Murphy 6-0 so I must be doing something right. But I'm still not happy just getting to the final."